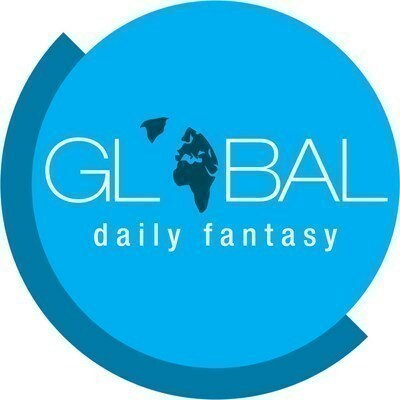 VANCOUVER, Feb. 7, 2019 /CNW/ - Global Daily Fantasy Sports Inc. (TSX-V: DFS / Frankfurt: 7CR) ("Global" or the "Company"), announces that it has signed a five-year agreement with US based SPORTTU LLC ("SPORTTU") to integrate Global's daily fantasy sports (DFS) product into SPORTTU's platform which distributes one of the world's largest content databases of sports news, scores, photos and videos. SPORTTU, in cooperation with Global, will now be able to offer a daily fantasy sport product to the millions of Telco subscribers via the SPORTTU app seeking to test their skill level to earn cash prizes as they enjoy their passion in sport. CEO Darcy Krogh commented, "We are ecstatic to partner with SPORTTU. Our partnership will greatly expand Global's DFS product and reach into new and emerging markets and a new customer base. This alliance provides synergies to both parties and we are excited to work with the team at SPORTTU to integrate daily fantasy sports into their offering. In the end Global and SPORTTU are united in sports and entertainment and we believe that this is a perfect marriage as telecommunications and media companies look to monetize their user base outside of traditional sources of voice and data." SPORTTU offers a comprehensive digital platform of sport related content, as a customized and branded white label solution to media and telecommunication companies globally. The platform provides users with a personalized experience where they control the sports content they receive, the ultimate fan experience. SPORTTU is a digital meia technology company that powers content experiences for telecommunications and media companies, brands, sports federations, leagues, and teams. SPORTTU's platform allows for the creation of white label content rich apps, websites and over the top (OTT) user experiences using its technology and global database. SPORTTU is currently powering a major LATAM telecommunication company through its white label offering. SPORTTU is also planning to expand its product offering to media companies, sports brands and federations, leagues and teams in Europe and Asia in 2019. SPORTTU strives to be the ultimate global fan experience, unparalleled using the industry leading content engine and global distribution across its partner network. Its media technology database, hosts global sports content from over 30,000 sources. Juan Carlos Barrera, President of SPORTTU, comments: "Telco's are becoming digital media companies where content drives revenue opportunities, the old business model of selling minutes is a business of the past. Our technology and access to global sports content immediately solves their needs by providing them with a content rich app and website which they can monetize through advertising, ecommerce, video, and user data analytics. Our platform offers Telco's the opportunity to immediately become a digital media company and to offer their users a personalized white-labeled app & website, monetizing their existing assets, mobile devices. Mr. Barrera adds, integrating Global's DFS product into our platform is a natural fit and extension to our offering and now we add daily fantasy sports gaming to the mix to the millions of mobile users of our customers to expand their ecommerce capabilities." Global Daily Fantasy Sports Inc. (TSX-V: DFS Frankfurt: 7CR) is providing a multi-tenant gateway that allows operators to offer their customers a world class Daily Fantasy Sports software solution. The platform allows for seamless integration at the operator level without having to share or compromise any sensitive customer data. Joining the Company's network allows operators to capitalize on a mature infrastructure, with shared liquidity that was built specifically for regulated market environments. SOURCE Global Daily Fantasy Sports Inc.